I am absolutely loving Freddie's age at the moment. He is just over 18 months old and although he's growing too fast for my liking, I must admit, I am loving the fact that I can dress him up how I want. Both girls are now at the age where they love to dress themselves and they both have their own kind of style. With Freddie, I still shop around and buy things that I like, such as adorable leggings, cosy jumpers and tees. Just anything that takes my fancy. When he was younger, I didn't like spending so much on leggings (many that are handmade) as I felt we couldn't really show them off properly. Plus, he was in his sleepsuits most days. Now that he walks around and is taller, I don't mind buying him proper clothes that look really nice. Does any of that make sense? 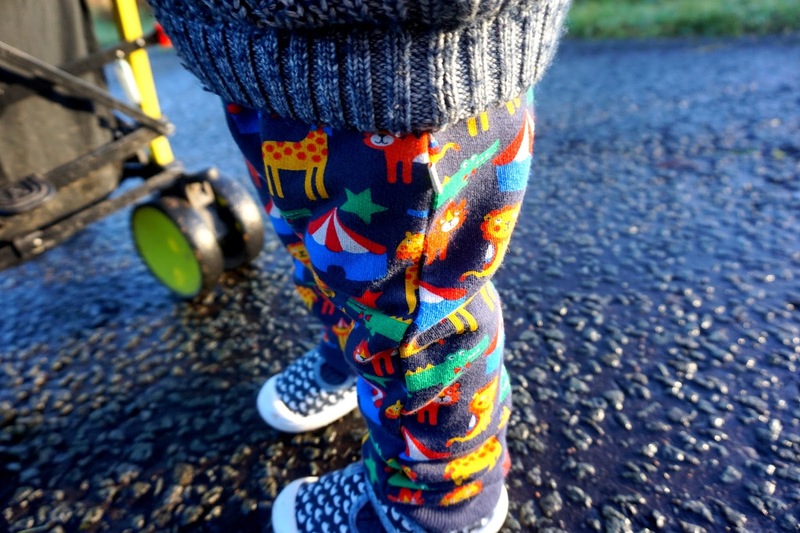 I am also linking up to the lovely Sarah's What My Kid Wore weekly linky that is on every Wednesday. I have missed about 2-3 weeks, so here is everything being caught up. This whole outfit is from NEXT, except his boots is from the sale on the original UGG website- they are fantastic quality. The adorable mono leggings were only £6 or you can buy them with a 2 for £10 deal which is amazing for NEXT. 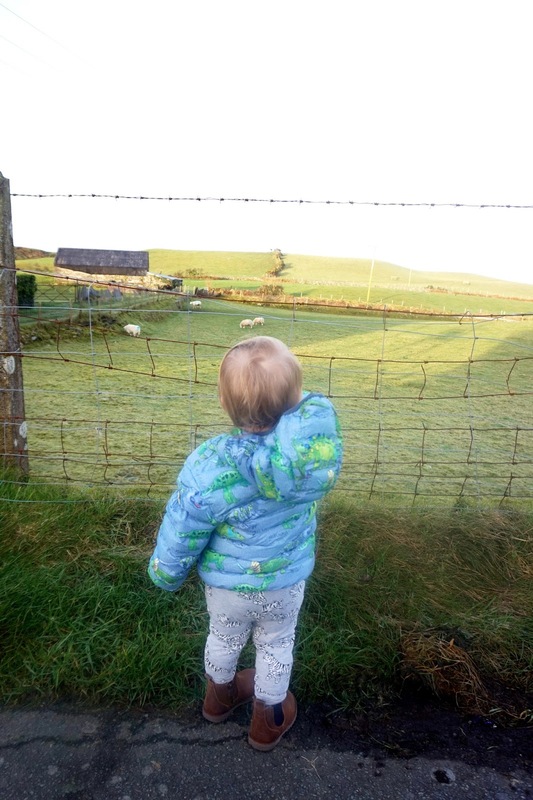 The jacket is in the new collection is absolutely cosy and great quality. 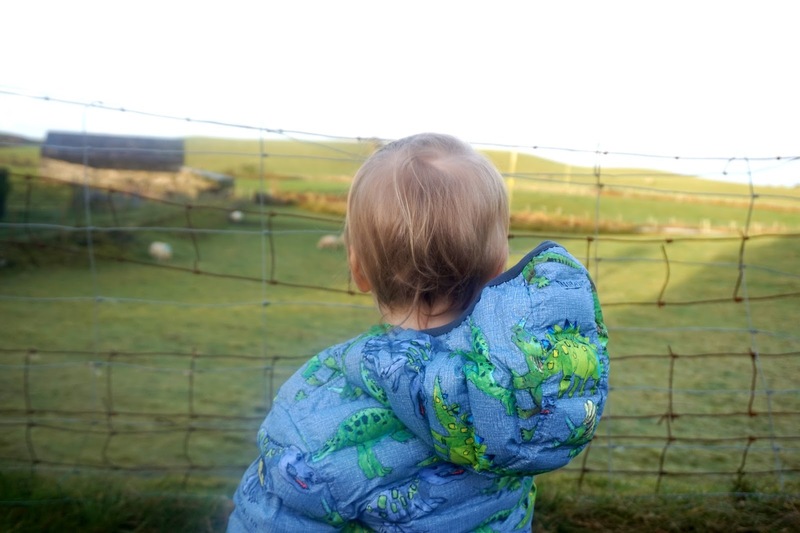 This adorable all in one is from We Love Frugi and I am in love with it. It's super cosy for winter walks. I put some tights underneath to make him extra cosy and his little shoes are from ASDA George for only £5 - Absolute bargain and so comfortable for him. 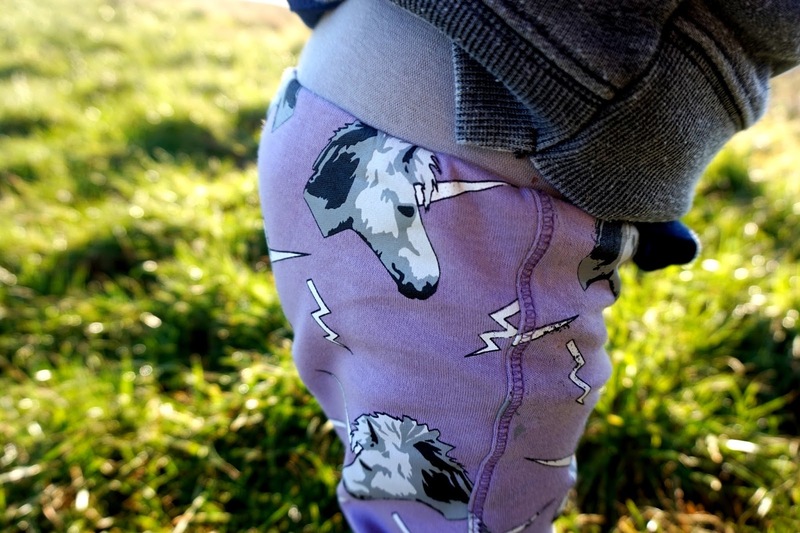 These Unicorn leggings have been the most worn leggings this month. I am in love with them. At first I was unsure with the purple/lilac colour but when I put them on him, he looked so adorable and I have loved them on him ever since. I team it up with a dark-grey jumper which makes him extra cosy. 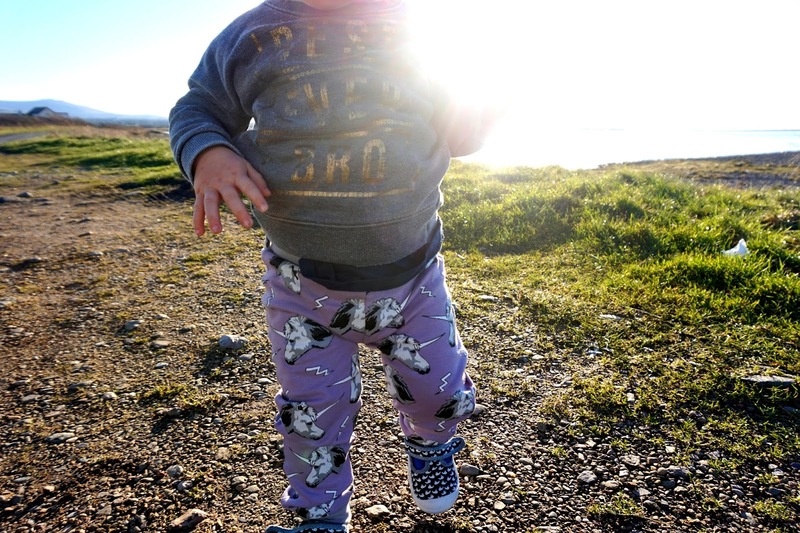 These super adorable leggings are from Lamb & Bear and we actually own a lot of their leggings now. They're fantastic quality. Do you like any of his outfits in this post? Love all the leggings and his little coat. Lamb and bear always have such lovely fabrics with amazing prints.